Konnichiwa Minna. It is time for our weekly anime challenge. 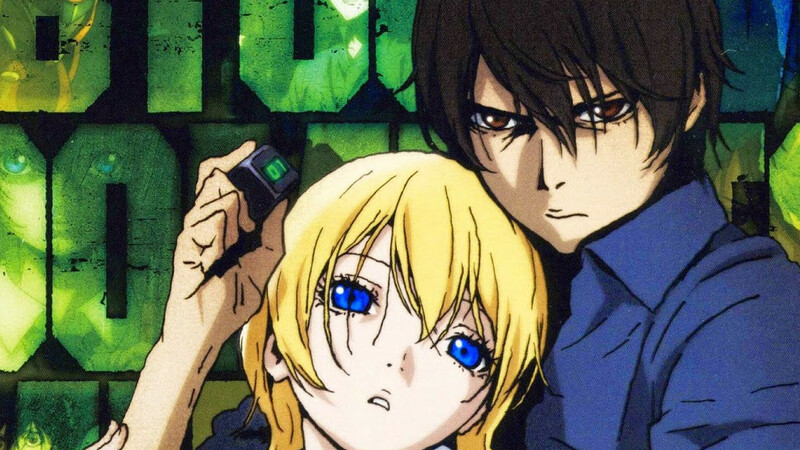 Last week’s challenge was Episode 7 – 9 of the anime BTOOOM! In episode 7, while in the midst of looking for Himiko, after a fight with Miyamoto Masahi, Ryota finds her phone and a wallpaper on the phone makes him realize that she is possibly the Himiko he had as a party member and later virtually married in the online game BTOOOM! He hears from Taira that she has been kidnapped and rushes after the kidnappers. At an abandoned building he finds Himiko while the kidnappers are distracted and he asks her if she is his online wife, but Himiko lies that she is not. While they try to slip away they are ambushed by Miyamoto and the two fights him for their very survival. Elsewhere in a sinister room filled with video screens, a commentator watches and commentates the whole fight between Ryota, Himiko and Miyamoto, to the watchers on the screens… There are much more to tell you but that would be too much of a spoiler, so if you missed episode 7 – 9 get watching! It is not too late! This week our challenge is to watch episode 10 – 12. Will Ryota survive with a bang or go out with a whimper? Will Tyrannos Japan pay for their crimes? We will have to find out in this week’s challenge if the whole world goes boom! We thank all our readers for their input about the challenge! If you have suggestions or comments about your impressions of the series, please feel free to share them on our FB Page! Have a super sugoi week!